FIRED Gweru Town Clerk, Mr Daniel Matawu, has bounced back to his position after a High Court judge yesterday overturned his dismissal by a caretaker commission, which was tasked to run the affairs of the city. The ruling by Bulawayo High Court judge, Justice Nicholas Mathonsi, follows an application by Mr Matawu challenging his suspension and subsequent dismissal by the three-member commission which was appointed by former Minister of Local Government Public Works and National Housing Mr Saviour Kasukuwere to run the affairs of Gweru. The commission, which has since been dissolved, was led by former Masvingo Town Clerk Mr Tsungai Mhangami following the suspension of the city’s mayor Councillor Hamutendi Kombayi and all the councillors. Mr Matawu was suspended and later fired in July 2016 following recommendations by a board of inquiry appointed to probe allegations of gross incompetence and neglecting his duties. He was found guilty of 15 counts of gross incompetence and neglecting his duties at Town House. 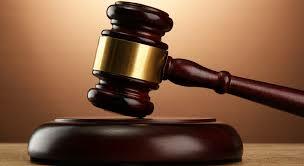 He was facing 29 counts which were grouped in four sections which include gross incompetence, inefficiency in the performance of work, substantial neglect of duties and conduct or omission inconsistent with the fulfilment of expressed or implied conditions of employment. Mr Matawu, through his lawyer Mr Reginald Chidawanyika of Chitere Chidawanyika and Partners, sought an order nullifying his suspension and dismissal as town clerk. He also wanted an order setting aside disciplinary proceedings presided over by a tribunal comprising members of the caretaker commission. In an interview, Mr Chidawanyika yesterday said his client is now constitutionally entitled to reinstatement following the court decision. He said his client must be given back his job now occupied by Ms Elizabeth Gwatipedza. “My client was unlawfully suspended and later fired by a commission whose term of office had expired. The court has ruled in our favour and my client is supposed to be reinstated as town clerk of the City of Gweru,” he said. No comment could be obtained immediately from Gweru City Council. In papers before the court, Mr Kasukuwere, the City of Gweru, Mr Mhangami, Mr Chamunorwa Parenyi and Mark Choga, who were all members of the caretaker commission, were cited as respondents.